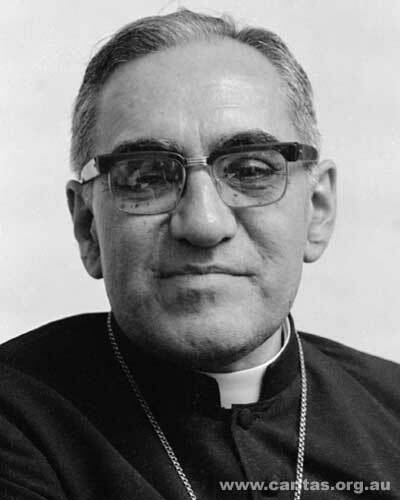 My Lenten “black book” informs me that on this day 29 years ago, Archbishop Oscar Romero of San Salvador was murdered by gunshot while celebrating Mass in a small chapel in a cancer hospital. The prayer below is oftentimes attributed to him, though it seems he never wrote it. It was actually written by Bishop Ken Untener, before he was a bishop. He worked in the chancery, and wrote out a homily for Cardinal Dearden to preach at the annual Mass for deceased priests. Doesn’t matter so much who wrote it. I like it! This entry was posted in Prayer, Priesthood. Bookmark the permalink. It's funny you mentioned him since we'll be talking about him during Confirmation classes this week. The movie we watched about him was really go too!